The Cloud Property Management System company trusted by thousands of users since 1996. Founders of True Extended Stay® technology. With Gearco's Cloud Property Management System, you'll have the access to manage True Extended Stay® Hotels, Independent Hotels, Housing & Rental, Vacation Rental, Bed & Breakfast, and Self Storage properties within one system while handling day-to-day business functions like property revenue collection, customer transactions, security control, inventory management, maintenance tasks, tax tracking, daily audits, and much, much more! Best of all, we can keep you within budget. What are customers saying about Gearco? It is not super complicated which is what I like. It is easy to navigate, Any new employees trained catch on within a day, Everything needed to run a hotel is provided in this system. There is always someone a phone call away if there are any questions. The CPMS business solutions we provide. Take advantage of our experience — We've built, deployed, supported, and managed property management systems for various markets since 1996. We are here to help. Manage from anywhere — Access your properties from anywhere while controlling how and when others can access your information. Increase your revenue — Gain access 100+ reservation channels that include OTAs, GDS, and your Website using Cloud Reservations. Optimize long-term stays business — Get the best extended stay services for property management using our True Extended Stay® technology. Leverage our front-desk Thin Client solutions — Get a cloud optimized computer system that provides quick recovery time for your business. Get great cloud solutions — Get global accessible solutions day to day with our products and services for operations and customers. Maximize operations and accounting processes — Control operations work-flow without impacting accounting procedures. You can manage a cash or accrual basis GL without impacting operational processes. Also, get automated Accounting GL feeds — interfaces offered for many different accounting suites. Access our Implementation Teams — For setups, system changes, or multi-property bulk changes, our Implementation Teams are here for you. Control your security — Get solid security options that handle application access levels, computer access levels, network access levels, and feature access levels. Maximize your bottom line — A dollar saved is a dollar earned. Let Gearco protect your assets by managing your work-force rules and work flows when handling transactions and procedures. Protect your business from high-risk customers — Track unwanted customers across one or more properties while collecting unpaid revenue using our global DNR tracking system. Drive better communication — Get Apps and services that drive better communications between your front-desk, customers, and operational teams. Get better automation — Automate your front-desk workflows using our paperless solution to capture and deliver compliant documents using Geraco Cloud Send. Provide a better experience — Control access, bandwidth, device counts, and safe surfing for a better Internet experience for your customers. Protect your business from scary tax audits — Get managed tax posting of city, state, local, and exempted taxes are completely handled by Gearco. Putting the gears to work. Solutions for online reservations and channel management. Our two-way interface makes it easy to capture reservations, securely store credit cards, and synchronize inventory between the CPMS and all target channels. 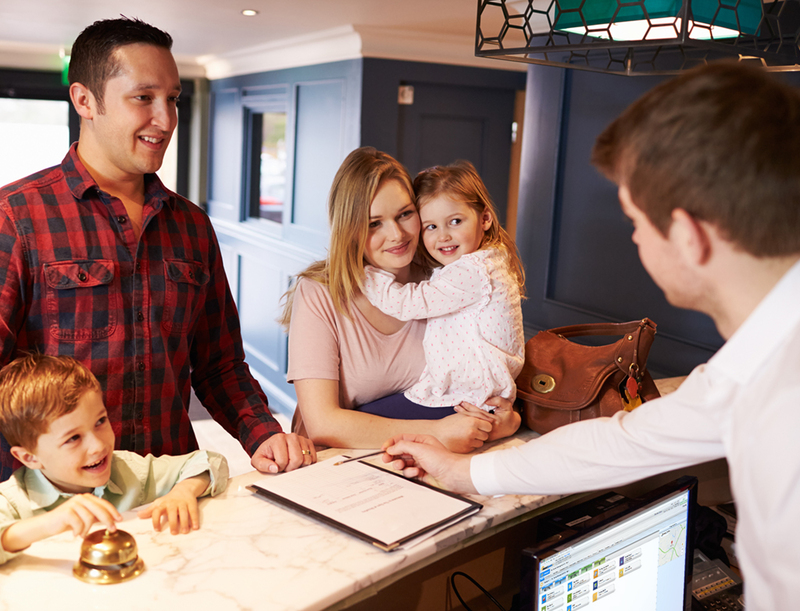 Use Gearco's LOS Protection™ system to control and allocate True Extended Stay inventory to prevent reservation overbookings against in-house forever guests. Allows your front-desk to capture driver's license photos, profile data, and signature for each adult without typing, and it is digitally stored with registration documents and purchase receipt signatures. Over 1 million documents captured in the last 12 months — saving trees, toner and cost. . . Solutions for credit card processing with EMV and PCI protection. Get integrated secure PCI EMV and tokenization credit card processing with signature capture and touchscreen tech. Securely stored credit card data that meets PCI compliancy with minimal effort from your staff. Gearco Cloud Ops automates interactions and services between your front desk and operations teams. Also, control which local, public, or company networks users are allowed to access Cloud Ops. Abi gives you smart responses to the questions you ask through conversation from our cloud. She's always connected to your properties and available to give you instantaneous answers about your property metrics like total occupancy, average daily rate, expected revenue, and so much more. Extraordinary management experiences come from the right Communication Platform. Centralize your communications between front-desk, operations, customers, and vendors. My Guest Portal for Customers. Take control of your wifi. Get control of your property's wifi by managing bandwidth, number of devices, blacklisted sites, and on-time rent access. Manage your business now and in the future with the powerful, highly configurable, and long lifecycle HP Thin Client + Gearco Apps running on Windows 10, quad-core processing, dual 4K monitor support, and dual network connectivity.